The enemy defender generally has the advantage in urban combat. The defender can hide — both physically within the protection of buildings and among the civilian population. With the ability to hide, defenders can negate many of the capabilities that give our military forces the advantage in other environments like using aerial assets to identify and target enemy personnel so they can be attacked by artillery and aircraft. Defenders can also prepare fortified positions in every building, on every rooftop, and in every room to engage attackers at the range of their choosing, usually at the up-close-and-personal range, which strips away our ability to attack them at long range. Some of the fundamental challenges of high-intensity warfare in cities are exposure and identifying enemy forces. The physical infrastructure of urban environments creates obstacles that canalize attacking forces into narrow movement corridors; produces dead space — areas where attacking forces cannot see or engage — around every building; and requires attacking forces to be prepared to engage threats not just to their front, but from every direction. Each of these features increases the risk to attacking forces of being seen and engaged. To mitigate these risks, military forces often are required to resort to building-by-building clearing, including hitting the buildings with high explosives to cover friendly forces. The defender’s ability to hide in the buildings and among the population makes it difficult to identify legitimate military targets. Many urban battles in the past have seen weaker defenders taking advantage of the restrictions of international humanitarian laws by operating from protected sites like hospitals and churches. ISIS also used human shields during the battles in Raqqa and Mosul to prevent the use of air and artillery strikes on their positions. In Mosul, the world saw ISIS deploy commercial drones as grenade launchers, kamikaze bombers, decoys and aerial “eyes in the sky,” increasing their ability to find, target and attack Iraqi security forces. The military use of drones is not new. Scientists experimented with armed, unmanned aerial vehicles in World War I. But ISIS took the Iraqi and U.S. Army by surprise in their use of commercial drones. Many now believe the next step in drones’ battlefield evolution will be the use of swarms. A swarm is a large group of drones flying and operating as a single unit. Groups of drones working together have already been put to civilian use, such as the flag flying behind Lady GaGa during the Super Bowl. Unlike the extremely expensive drones currently found in most U.S. military ground units, like the [AeroVironment RQ-11] Raven, swarms can be made of up of inexpensive devices. A swarm can also lose many of its individual drones with little impact on its ability to accomplish the mission. There are three immediately apparent ways swarms could assist with the challenges of target identification and exposure. First, drone swarms could identify enemy and civilians in the urban environment. Each building becomes a problem for attackers in high-intensity urban warfare. The rooftops, windows on the higher levels, and doorways of each building can become positions to shoot at approaching attackers. A swarm of drones could converge on the building about to be attacked and report (to include real-time video) on people on top of, in, or around the building. 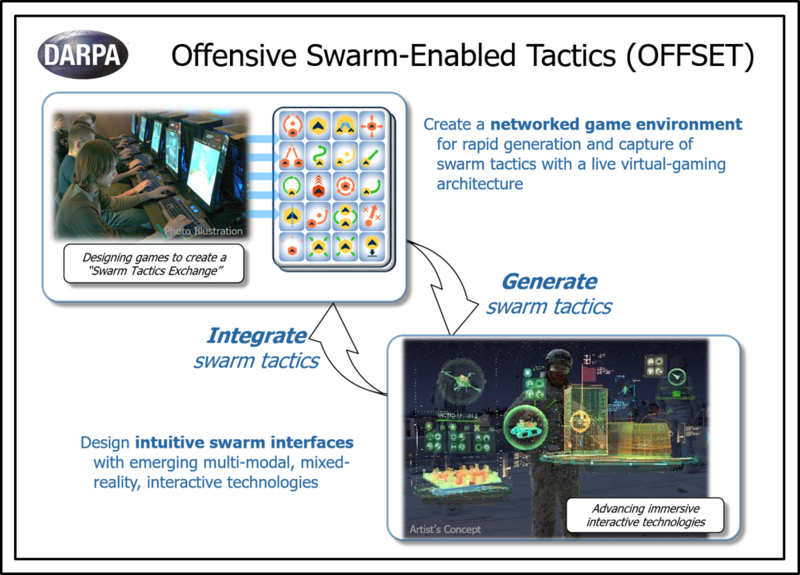 The swarm’s ability to fly around a building and see in every window or door and on the rooftop could significantly reduce the need to shoot at the building to cover attacking forces, identify exactly where to shoot or not to shoot, and even prevent an enemy shooter from engaging the attacking forces. A swarm of drones flying on top of or into someone will, at a minimum, disrupt their plans. Second, drone swarms could provide concealment for attacking forces. The clear challenge for the attackers is that they can be seen and targeted. A drone swarm could be equipped with smoke-producing devices and literally create a cloud in advance of attack forces preventing defenders from seeing them until they are in the building. Third, drone swarms could provide some protection for attacking forces. If attackers can be seen, they can be shot at. A wall formed by a drone swarm flying directly in front of or around an attacking group of soldiers could provide some protection from incoming bullets. The effectiveness of the wall or cocoon of drones would depend on many variables, but a self-healing formation of drones could provide a small window of time for soldiers to transit the defender’s kill zone. The most relevant modern example of the difficulty of urban warfare for an attacker is the Mosul case of snipers firing from the top of a building. Even an untrained sniper team in a protected and elevated position can see, shoot at, and kill attackers with ease. The options to return fire for the attacker are generally limited to mortar, artillery or air strikes. There is little to no ability to know what or who is inside the building. The three swarm options discussed above could address this dilemma. Many unanswered questions about the use of drones remain, especially regarding autonomous weaponized systems. The recent short fiction video “slaughterbots" highlighted many of the fears held by organizations about the dangers of the continued development of drone swarms. But, even nonlethal uses of swarms — with humans in the loop — could fundamentally change the tactics used in urban warfare. The difficulty of the technical requirements of these swarm tactics should also not be underestimated. Loiter time, coding variables, network architecture, security, and other issues would have to be addressed. 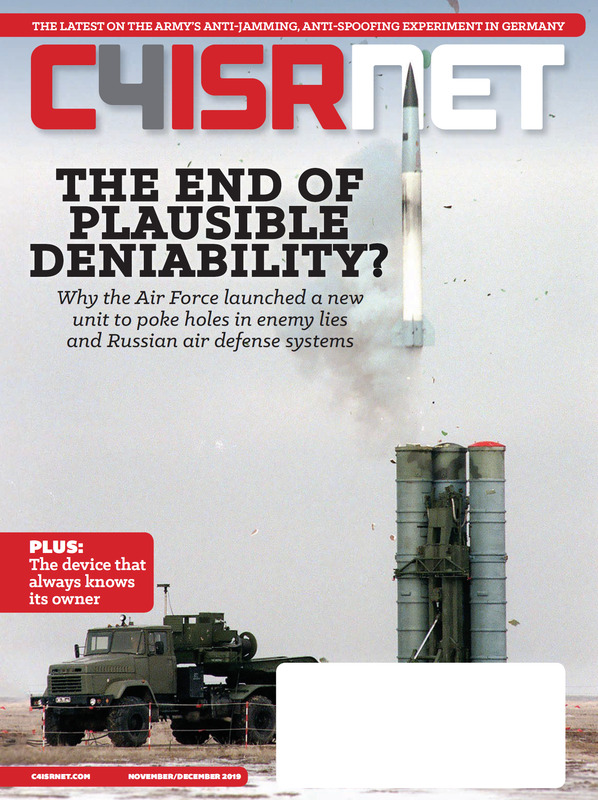 The intellectual effort of understanding how to use cheap, and perhaps expendable, drones to complement current urban warfare tactics is the key. Warfare has always been a battle of asymmetry. The Iraqi military tried to counter ISIS by using their own commercially purchased drones, but mostly single platforms for limited urban warfare purposes. Drone swarms could be used to address the fundamental challenges and alter the basic tactics for attacking forces in urban combat. Major John Spencer is an Army infantryman and deputy director of the Modern War Institute at the U.S. Military Academy in West Point, N.Y. He looks forward to connecting via his Twitter, @SpencerGuard.